Green60 is a top online payroll system, providing your business with excellent service for likely less than it would cost you to hire even one part-time bookkeeper to handle your payroll. Contact us today to learn more about the features that make us your best choice. 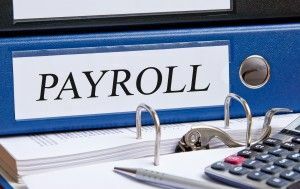 While you search for the best online payroll system, you will likely have questions about security. After all, protecting your business’ and employees’ sensitive information is a top priority. At Green60, your information is protected with multi-level security. We ensure that any outside access to your account is impossible, and we will not share any of your data with anyone unless we have your authorization. In fact, we make it impossible to change your username and password without direct instruction from you. None of your employees’ social security numbers are accessible by anyone else, and our payroll professionals are available during regular business hours if you have any questions about the process.